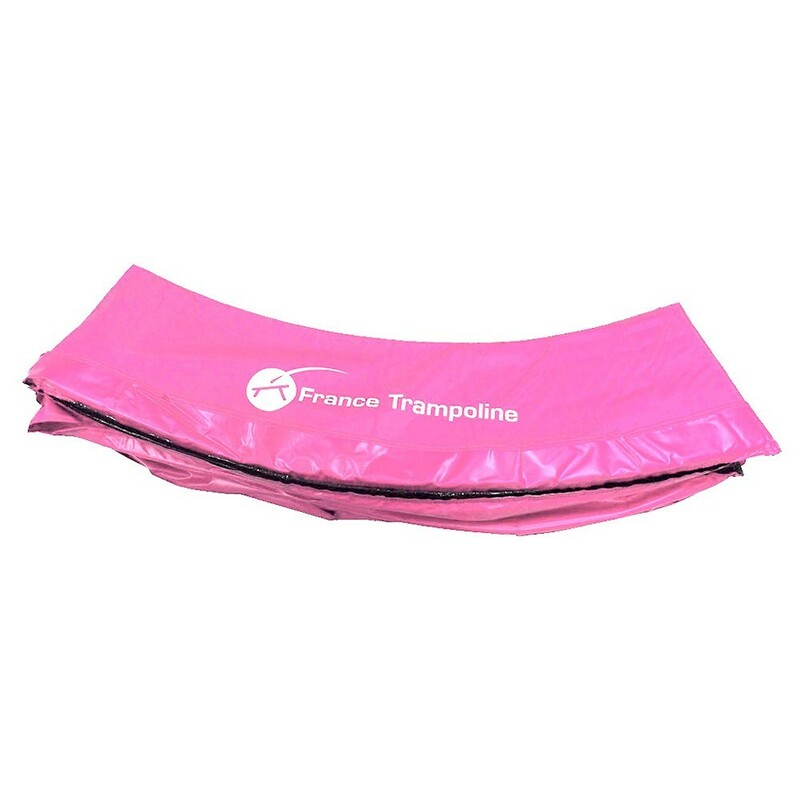 Pink frame pad for small 1.80 m trampoline. Pink frame pad for 1.80 m trampoline. To ensure optimal safety on your trampoline, make sure you check your enclosure and frame pad regularly. The frame pad covers the springs and breaks falls to avoid any injury. If your frame pad looks damaged, make sure you change it quickly. 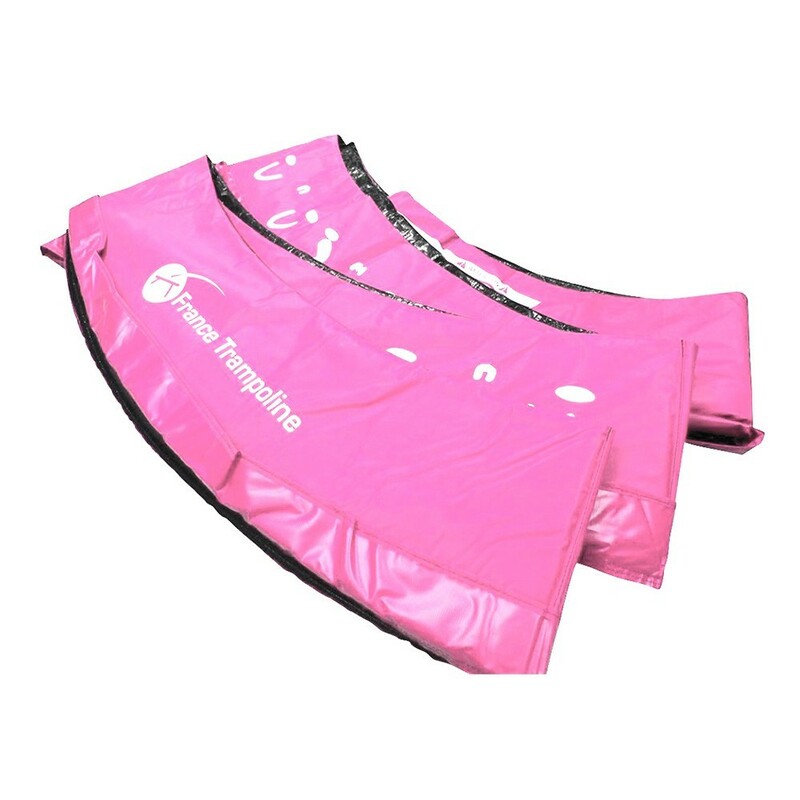 This pink frame pad is made for any small round trampolines of 1.80 m in diameter. - This frame pad is perfectly adapted to 6ft / 1.83 trampolines m with springs of 180 mm in length. Our spare parts can also be used for trampolines from other brands, as long as they have the same characteristics. - We use a polyethylene foam to make our frame pads. This material has several important characteristics: it is flexible, water-proof and strong. The frame pad will be frost and weather-resistant, as well as tear-proof. - This monobloc foam is high quality: most frame pads are made from small pieces of foam that tear easily. Our frame pads are solid and durable. 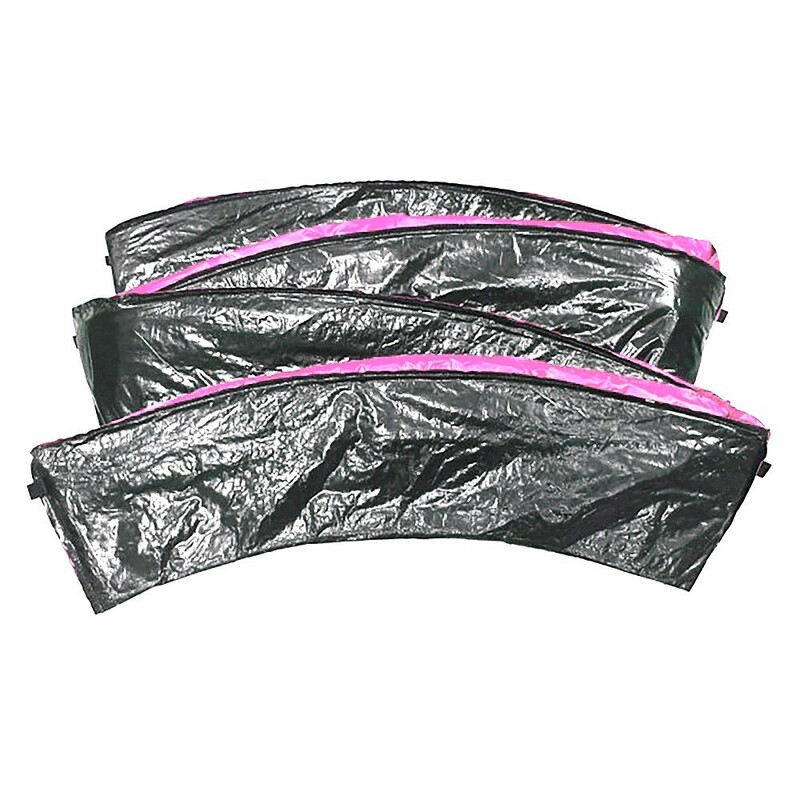 - It is also covered in a pink PVC cover of 360 g/m², which has been UV protected. It is 10 mm thick for solidity and maximum durability. - This pink frame pad is fixed using 6 black elastics which are threaded through steel eyelets, regularly positioned around the edge of the trampoline. This system offers flexibility to the frame pad and avoids damage due to friction.